Some weeks ago Tom Ware became member number 1,000 of OxVox. We asked Tom for his comments about the trust and his reasons for joining. 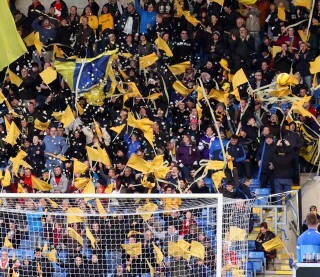 “Having been supporting Oxford since the late 80’s, I have seen many highs, lows and changes. Promotions, relegations, a stadium move, different owners, several trips to Wembley, and sadly our spell in the Conference. However, the one constant throughout this whole period has been the unwavering support from our core fan base, who have backed the club through thick and thin. “I believe that the Oxford fans deserve to have a forum to air their concerns, thoughts, insights and experience into how the club should be run. This is something which OxVox has provided very successfully over the last few years and continue to do so via the open dialogue they have built up with the club’s leadership team and other supporters groups.